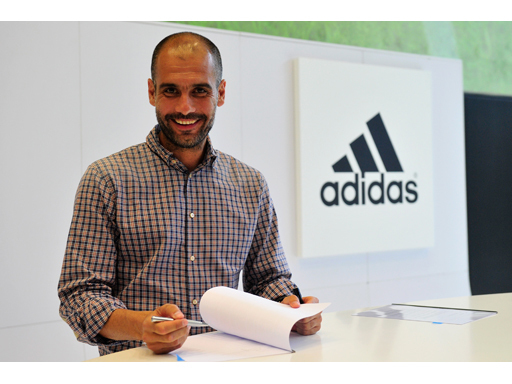 As part of his new ambassadorial role, Guardiola will become the face of this season’s adidas UEFA Champions League campaign, Gamedayplus, which will run for the entirety of the forthcoming European season. Guardiola has won the UEFA Champions League once as a player and twice as a manager and has recently joined the reigning UEFA Champions League holders FC Bayern Munich. Further details on Gamedayplus will be announced in the coming weeks. This entry was posted in NEWS & ARTICLES, SPONSORSHIP, SPORTS AGENCIES, SPORTS BRANDS and tagged Bayern Munich, FC Barcelona, FC Bayern Munich, Guardiola, Josep Guardiola, Pep Guardiola, Spain, UEFA Champions League. Bookmark the permalink.